Happy Friday everyone! I don't think I have wanted a weekend to come this quick for a very long time. Despite having a pretty jam-packed stressful week, I allowed myself a breather and on Tuesday night headed to the newly opened Byron in Newcastle's city centre with Hannah and Claudia. Interior inspired by the bootleg glamour of 1920's America, Byron makes the perfect brand to allow a previously empty building to be used to it's full potential. The Newcastle Byron is the first in the UK to also have a full bar. 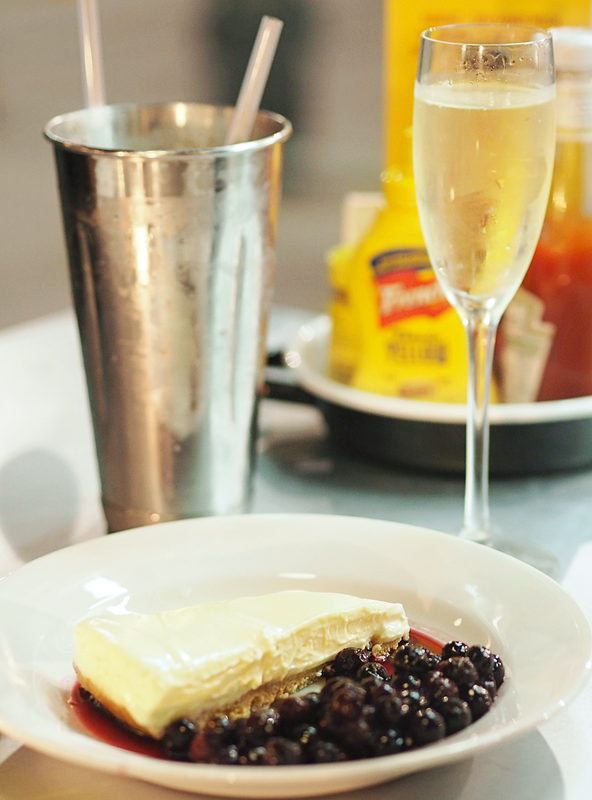 Allowing pairings of craft beers, cocktails or hard shakes to accompany your meal. Or without if you prefer a liquid diet. 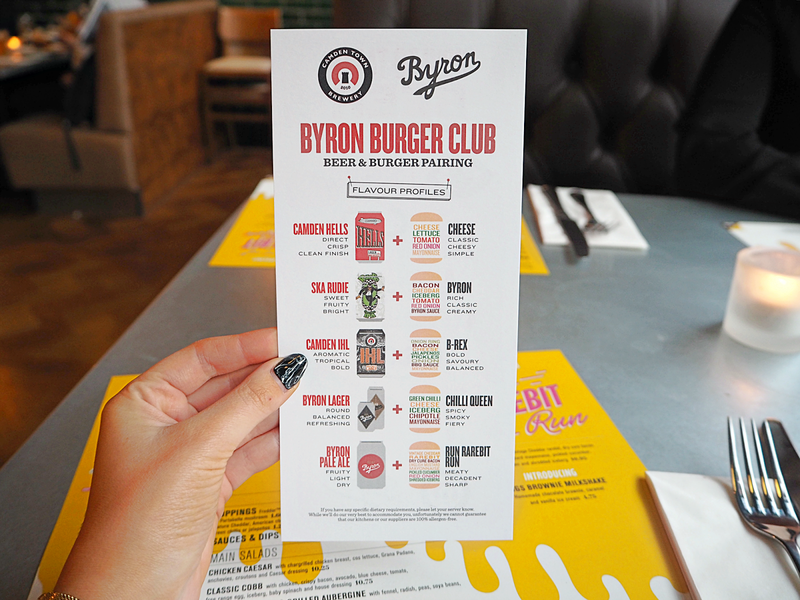 Prices ranging between £7.95 and £12.50 for mains; before the addition of sides dishes, Byron does place itself at the higher price point in comparison to other burger establishments in the area, such as The Fat Hippo Underground just around the corner. 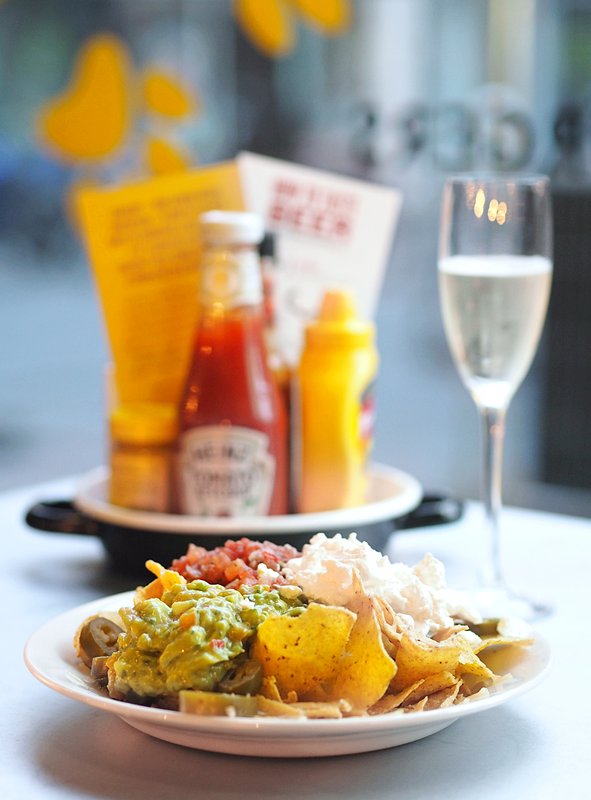 After a starter of nachos to share between the three of us to bide our stomachs some time, I opted for the Byron burger. Your order comes with dry cure bacon, mature Cheddar, shredded iceberg, tomato, red onion and Byron sauce for £9.50. I asked for medium to well-done and for my preference it was a little more overdone than I would have liked. The patty had a chargrilled taste of it which reminded me slightly of Burger King. I did enjoy it, just in the back of mind was the constant reminder than it was priced at £9.50 solely for the burger. They do have a great variety of side dishes which Byron deserve credit for. 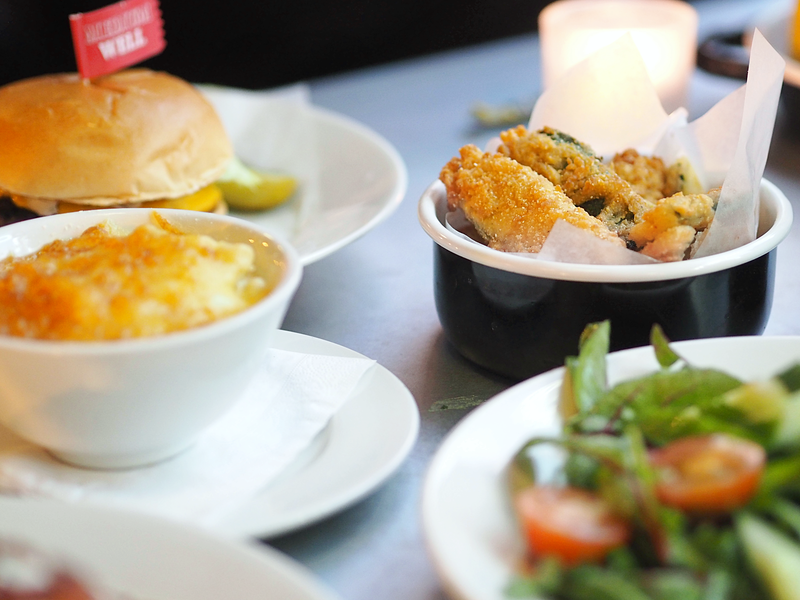 As a party we chose to try the iceberg wedge, house salad, mac & cheese, on-skin fries and finally courgette fries. And I wonder why my waistline is expanding? I thoroughly enjoyed the house salad, mac & cheese and on-skin fries. They were seasoned well and tasted really fresh. However the iceberg wedge and courgette fries did leave more to be desired. Although I do believe that is personal preference as I'm not a huge lover of cheese sauces (the main component to the iceberg wedge) nor do I like courgette. 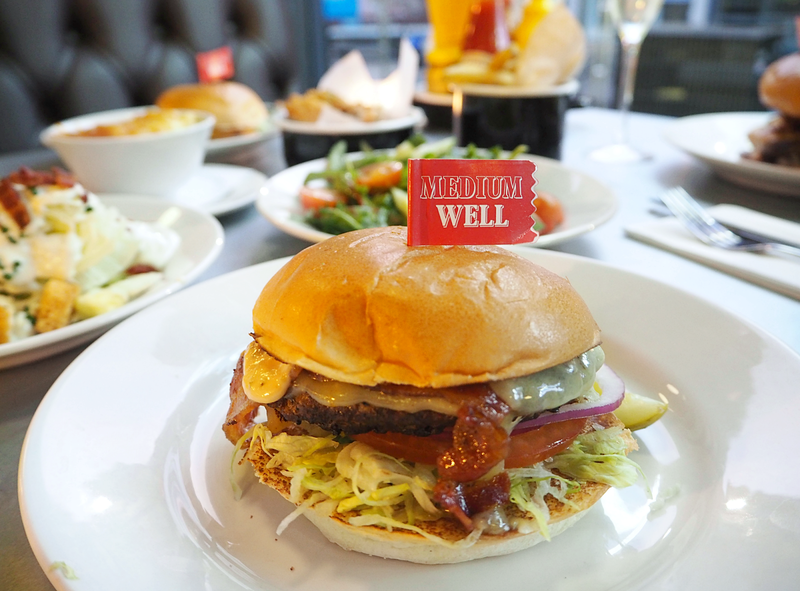 Next Tuesday (October 6) 25p will get you a whole hamburger from Byron, worth up to £10.95 – and you’ll be doing your bit for charity as every burger from the sold at Byron in the future they will donate the price of a school lunch to those in need. 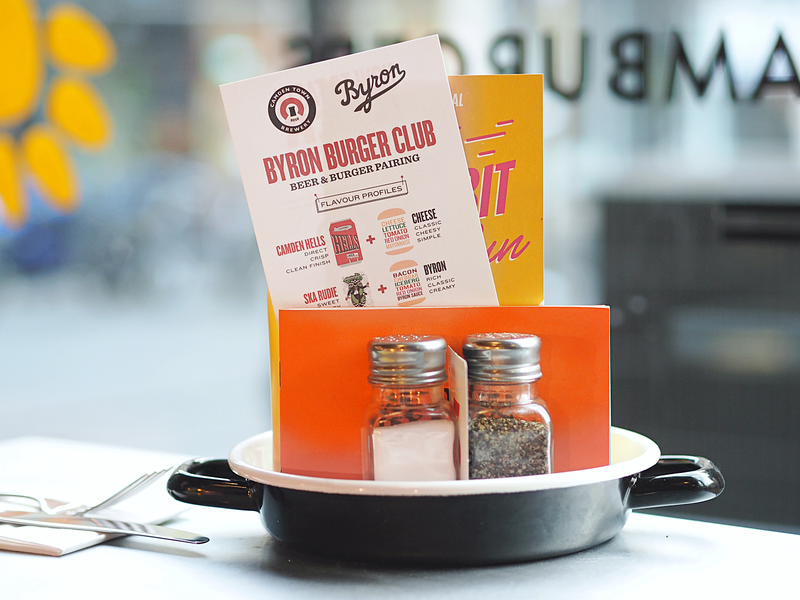 To get your hands on a bargain burger all you have to do is sign up to the Byron Burger Club here before 9am on Tuesday. I would definitely recommend you giving Byron a visit and making your own opinions. I would rate the overall food that I tasted a positive 3.5/5. The ambience and great serving staff allow the overall experience to increase to 4/5. Below are a few photographs I managed to take when I took some time away from stuffing my face. If you have been to Byron before, or it's something that is now on your to-visit list I'd love it if you could share your opinions with me below in the comments. Lovely photos as always ! !